Guilty as charged. 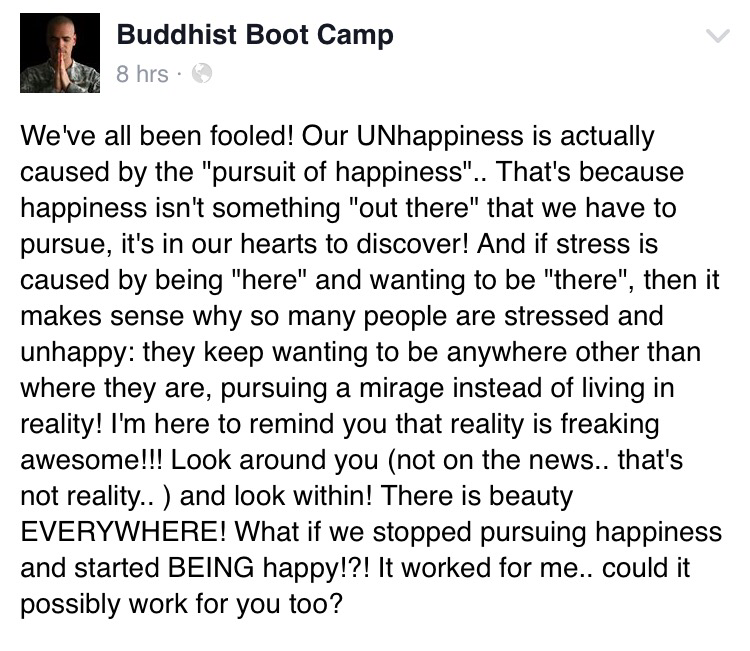 I often say that I am working on pursuing happiness. I am not. I am learning how to be happier. But also how to be happy right now. And this is the sole purpose of this blog. Happy Sunday! This entry was posted in quotes and tagged buddhist, happiness, nomad, universe. Bookmark the permalink.